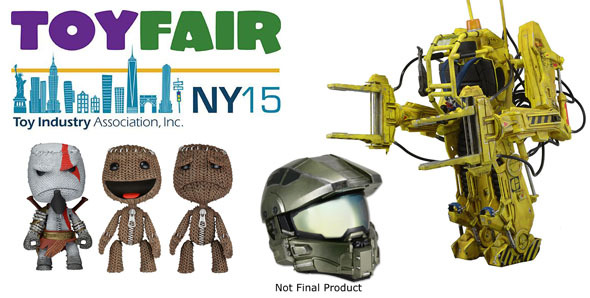 You are here: NECAOnline.com » Licenses » Movies » Alien » Toy Fair Day 1: Master Chief Modular Motorcycle Helmet, Aliens Power Loader, LittleBigPlanet Figures! Day 1 of Toy Fair is a wrap! Today we revealed the Master Chief Modular Motorcycle Helmet, the Aliens Power Loader P-5000 Deluxe Vehicle, and our first series of action figures from Sony’s LittleBigPlanet. Be sure to check the product pages (linked below each item) for more images and fuller descriptions. From the award-winning Halo video games, this Limited Edition detailed replica of Master Chief’s headgear is also a DOT-approved modular motorcycle helmet! Sizes S-XL. From the thrilling 1986 movie Aliens! Whether you’re loading heavy ordnance or fighting a terrifying alien queen, the P-5000 Powered Work Loader has the extra muscle you need to get the job done. Now the iconic exoskeleton used so skillfully by Lt. Ripley is available as a Deluxe Vehicle that fits most 6.5-7” action figures. 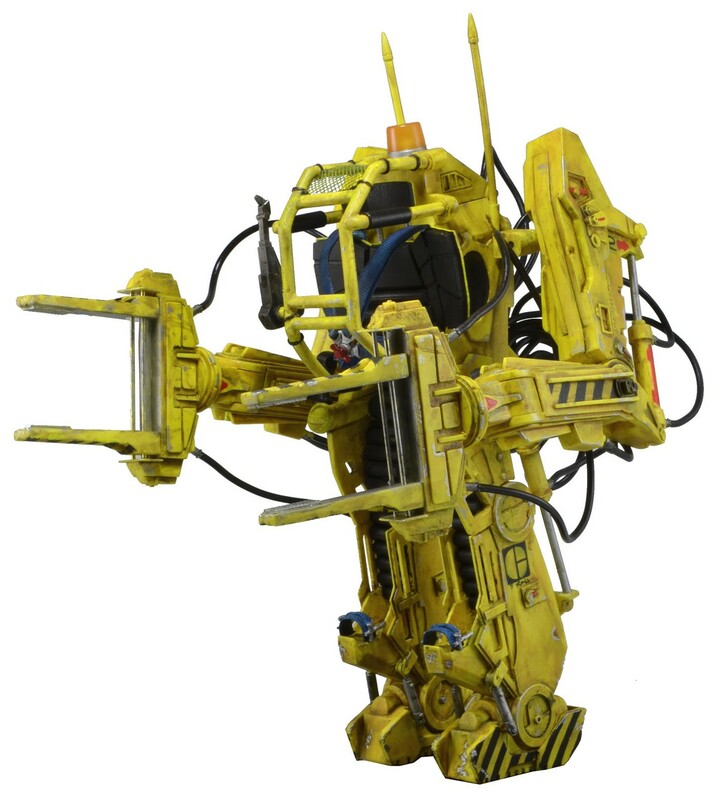 NECA’s Power Loader P-5000 Deluxe Vehicle stands over 11” tall and features more than 30 points of articulation (including fully articulated arms and legs), 20 wires and hoses, working pistons and exceptional detail. Figures sold separately. The continuing adventures of Sackboy, LittleBigPlanet’s hero of a thousand costume changes, are now taking him to action figure form! 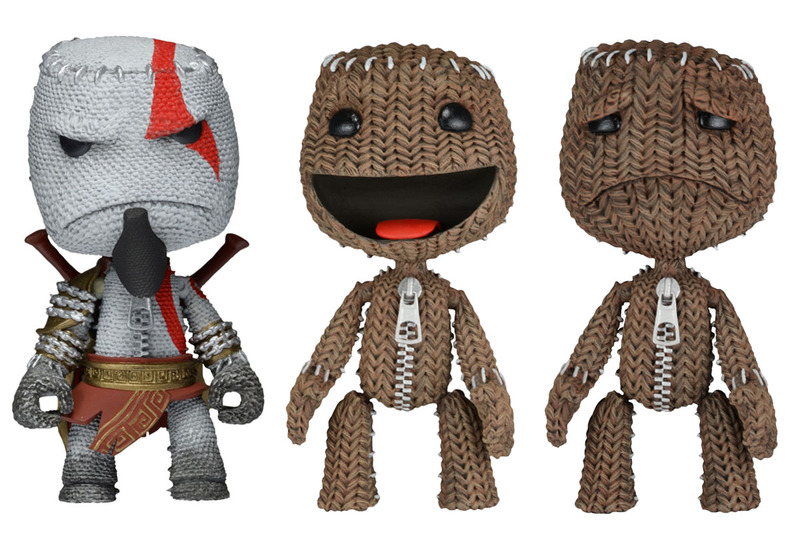 Our first assortment from Sony’s hit video game series includes three versions of the cute little burlap fellow: Happy Sackboy, Sad Sackboy, and Sackboy as Kratos from God of War. Kratos Sackboy comes with two sword accessories that can fit into a holder on his back. Poseable figures stand approximately 5.25″ tall.